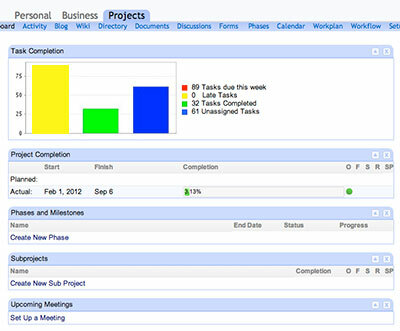 Many web-based project management systems do not scale well, and can grind to a halt when projects have too many tasks. Our new scheduling engine can generate a schedule for a project with 1000 tasks in 1-2 seconds. Our scheduling system also provides sophisticated features to model constraints and risk. Customers installing project management software across an organization can gain valuable insights to help them manage risk and invest resources wisely. Now that Project.net is fully integrated with Pentaho, the leading open source data integration and business analytics platform, our customers enjoy the flexibility create the reports they want, including the ability to pull information from other systems, like HR or CRM. These capabilities give our customers the flexibility and data access they need to create truly useful reports. Creating work plans, especially for large, complex products is time-consuming, especially when you have to go through a form to add each task. One of the major design goals of Project.net 9.4 was to make it fast and easy for managers to create and maintain workplans. Our new interface boasts many improvements, including the ability to drag and drop tasks to create and update project plans. Project.net is Where the World Works™, an open source project management and project portfolio management (PPM) solution with more than 100,000 users worldwide. Project.net helps organizations spend money where it counts™ through dramatic cost and time savings in project execution across the enterprise. Project.net is fully customizable and supportable by you or by our team of world-class developers, trainers, and system administrators. Project.net is a trademark of Project.net Inc. Pentaho is a registered trademark of Pentaho, Inc. All other trademarks are the property of their respective owners.